The session will commence with a Youtube video by Jim Kwick titled ‘Speed learning: learn in half the time’ wherein he says “some people don’t learn because they think their ‘cup’ is full or they know it already. To learn we have to forget what we think we know and have a beginner’s mind”. This should be an interesting introduction to Exchange Traded Equity Options, suitable for the beginner as well as those wanting to refresh their knowledge. There will be time for questions during the session as the aim is to learn the basics. Bobbey is an ATAA Brisbane member and sits on the ATAA National board. He has been trading full-time for 5 years and has experience in currencies, futures and commodities. He also manages a portfolio of automated trading systems. - He uses TradingView.com on daily basis because it is easy to use and helps him keep up-to-date specific prices and markets condition. TradingView is a US based online global platform for researching financial markets with real-time data. Its blogging facility allows him to share his trading ideas in the public chat room. (www.tradingview.com). - He uses Trade View Investments for system development and automated trading. Trade View is a privately held proprietary trading firm located in Melbourne and has a strong technology focus giving its traders the very latest trading and information platforms with real time data. 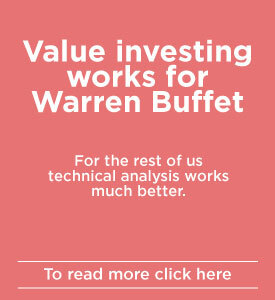 It uses a systematic approach to trading by following a set of mechanical rules developed by its proprietary models. Bobbey says the big benefit in using Trade View’s platform is it allows him to build, test, and automate his strategies without coding a single line. 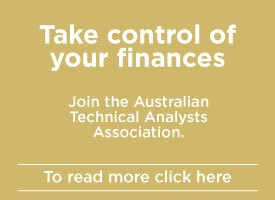 (www.tradeview.com.au). - US Indexes and will include the latest video by Steve Bigalow (4 minutes); Steve gives free access to his videos and other resources at www.candlestickforum.com. Recap, Q & A and discussion of major trend reversal candlestick signals and patterns. An analysis of the candlestick signals and patterns found in a selection of popular ASX stock charts. Please note: There will be a break in both the morning and afternoon sessions with coffee, tea and nibbles provided throughout the day. The location is next to the Logan Central Plaza where take-away foods is available. The room has a kitchenette and those bringing lunch can use the fridge. Future meetings: Generally the second Saturday of each month except for January (3rd Saturday).